Generally known as the “Luger”, the Pistole 08 is amongst the most celebrated pistols ever placed in production. The first Luger pistols for military service were manufactured in 1900 to meet a Swiss order, and the type was also adopted by the German navy during 1904 and then by the German Army in 1908. 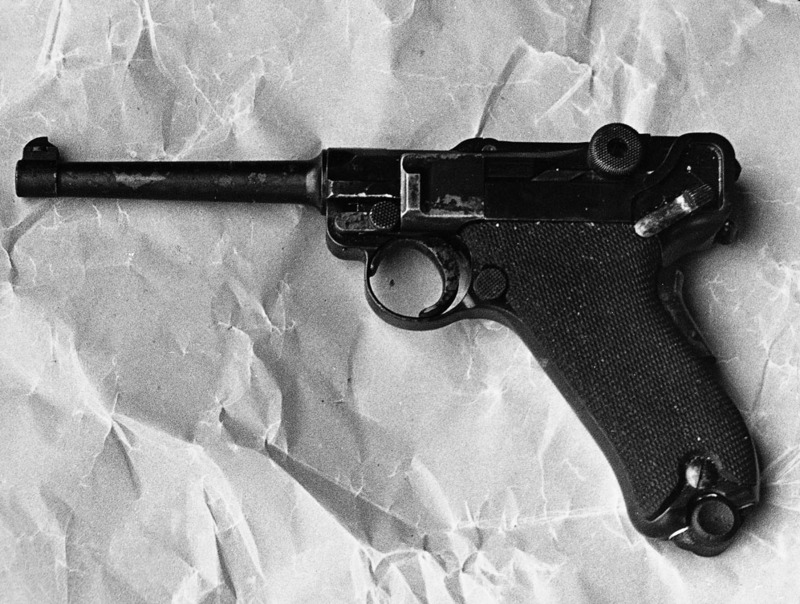 It was this last order that led to the designation P 08, which became the most important of some 35 or more Luger pistol variants. The P 08 was the standard German service pistol until 1938, when the P 38 was introduced as its successor, but even so the P 08 remained in production to 1943 and at the end of World War II in 1945 remained in full service for lack of adequate numbers of the P 38. Oddly enough, the P 08 was not a first-class weapon for military use as it was susceptible to jamming when its open toggle mechanism was clogged by dirt. On the other side of the coin, however, the P 08 was a very “pointable” weapon and was therefore fairly accurate. The most common P 08 version had a 0.103m (4.06in) barrel, but the barrel of the naval model was 0.152m (6in) long. Other than Germany, countries that used the P 08 included Abyssinia, Bulgaria, Finland, Latvia, the Netherlands, Persia, Portugal, Romania, Switzerland and Turkey: the Dutch weapons were produced in the UK by Vickers during the early 1920s.